Flexible Dust Plug - Ultrafab, Inc.
Ultrafab’s premium flexible dust plug, the “Flex Plug,” offers OEMs and engineers a competitive advantage on products that require specific sealing solutions. The premium flexible dust plug has superior performance; learn more about it and save the sell sheet for later, or request a quote now. Flexible-based material for a firm and permanent fit over uneven surfaces for proper mounting. 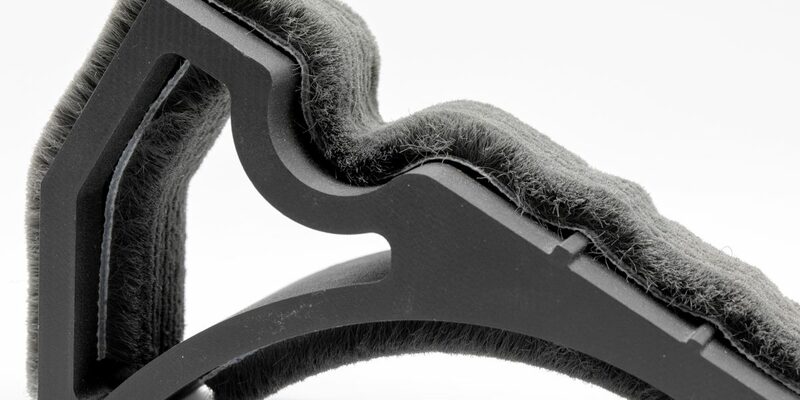 Extremely dense, close fiber configuration for a non-oriented design, allowing the dust plug to be applied in any direction and reducing labor. Aggressive premium adhesive solution to ensure durable and long-lasting lifespan. Available in cut-length as well as linear pieces. Flex Plug’s 360º wrap functionality allows it to be internally or externally wrapped on almost any application. The Flex Plug is ideal for welded corners, pockets, angles, slants and other contours, and it can conform to irregular surfaces. These lightweight, high-density dust barriers performed an average of 100-250% better than standard dust plugs in isolated tests against air infiltration. They also provide superior performance in sound and vibration-dampening, light-filtering, and reduced friction. 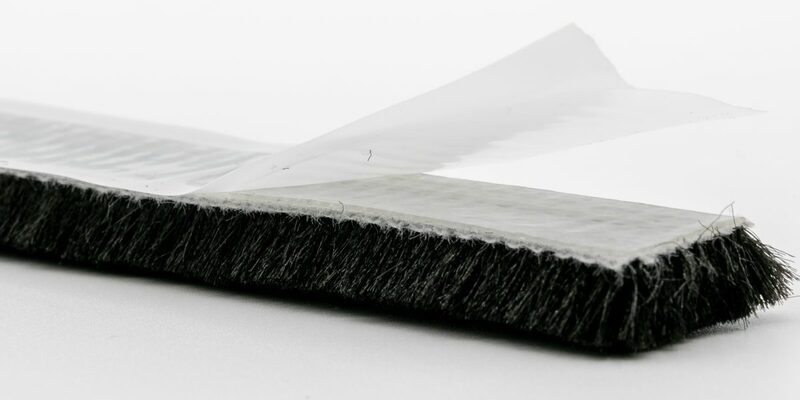 Flex Plugs come with our durable premium PSA adhesive solution that has pull forces 300% better than standard dust plug adhesives, increasing seal lifespan in an application. Premium Flex Plugs’ non-oriented design allows them to maintain superior performance regardless of the direction they are placed, reducing the labor time it takes to orient plugs in an application. The premium Flex Plug also comes with an innovative pull tab quick-release liner that promotes quicker installation, saving 60% of labor time. Ultrafab works with OEMs and engineers to reduce cycle time and improve first-time quality by designing innovative sealing components with a competitive advantage. When you contact us, we discuss feasibility, potential business return, and if our flexible dust plug is the best fit solution for your application. Our application engineers want to help with your design in order to fix sealing problems on the front end. Possible Applications Vinyl windows, sliding windows and doors, etc Replacement for foam, path diversion, reducing friction on 360° applications like pneumatic shuttles, etc.